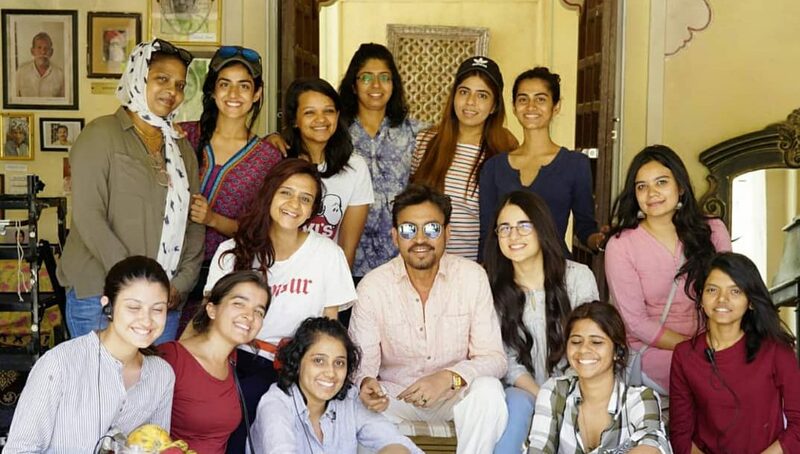 Whenever we sit down to decide on our next vacation destination, the ‘Heart of India’ usually is not in the heart of our plans. We often assume that it wouldn’t be interesting to visit Madhya Pradesh – a state in the middle of the Indian landmass. 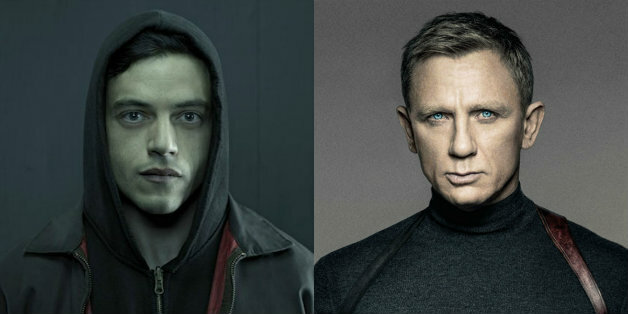 But do you have any idea how far this is from the truth? Madhya Pradesh is the country’s most diverse state; the state is a delight to religious tourists, to nature lovers and also to those who enjoy good art and architecture but it still doesn’t receive the love it deserves. 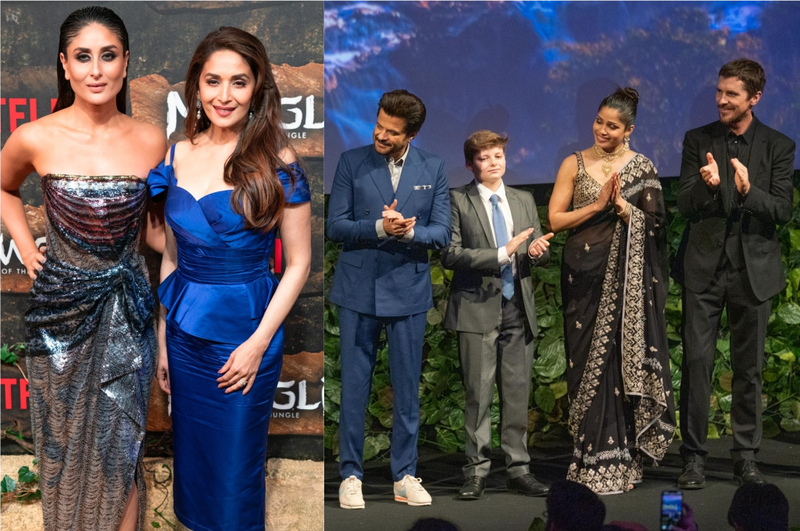 In reality, the state beckons you with its charm and uniqueness and is the perfect introduction to Indian culture. And the best part? It’s not invaded by tourists (yet). From thrilling wild jungles to serene places of worship, and everything in between, Madhya Pradesh has something exciting to offer to all types of traveller. Here’s proof! 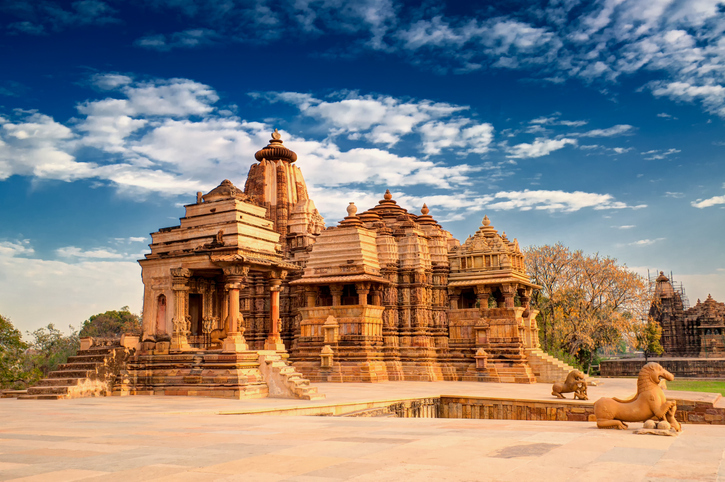 All that you have read and heard about the Khajuraho Temples has to be seen to be believed. The magnificent structure of the temples is still going strong, ever since they were built between 950 AD and 1050 AD, and the awe-striking carvings and statues are something to be witnessed first-hand. Mandu got our attention only when the trend to explore offbeat destinations started. The majestically done palaces, temples, mosques and gardens take you to the happy times of history where the Mughal dynasty and the Parmara dynasty lived their royal lives. 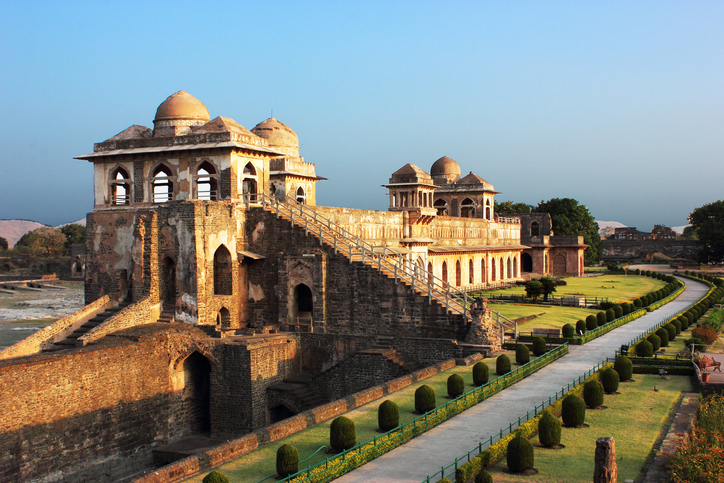 Mandu also stands testimony to an ageless love story of Rani Rupmati and Sultan Baz Bahadur. Madhya Pradesh and wildlife go hand in hand, thus missing an opportunity to witness it is an unforgivable sin. 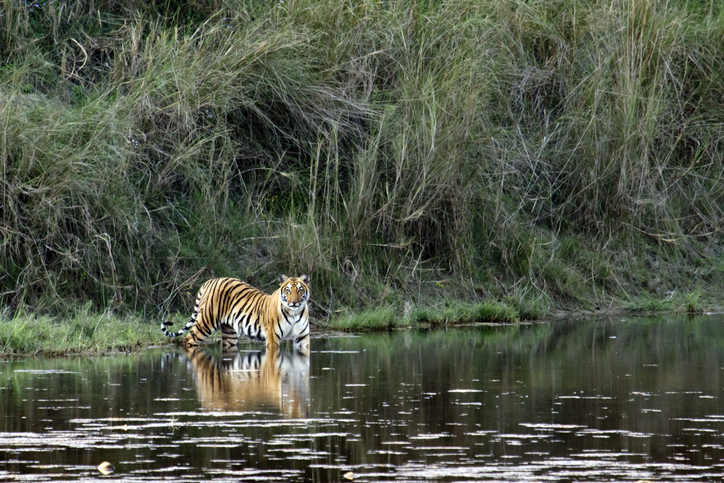 From watching tigers prowling in Kanha National Park to wandering in the wilderness of Bandhavgarh Forest to taking a hot air balloon ride in the Pench Forest, the state has several wildlife reserves on its plate and you can choose the best that suits you. 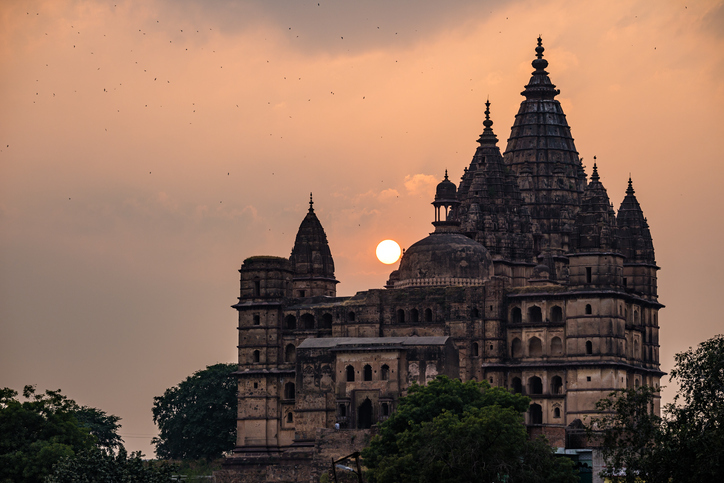 If you find solace in historical arts and texts, Orchha is your perfect go-to destination. Adorned with forts, temples and cenotaphs, it is indeed the finest example of exquisite Bundela art. 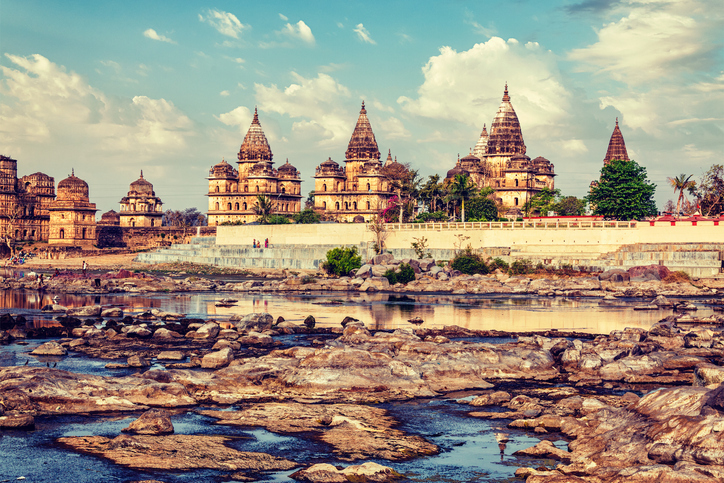 Boasting of tile work and painted murals, Orchha is one of those places that can actually transport you to another world. The sun-kissing temple gopurams and the profound silence at the cenotaphs actually press the curiosity button in most of us. 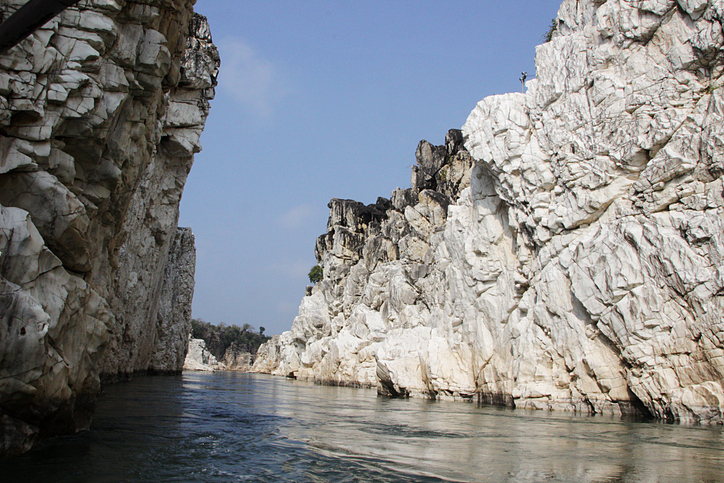 If you’re in Madhya Pradesh, you cannot let the opportunity to see the Bedaghat Marble Rocks go by. Very few places in the world offer the experience of sailing in the middle of the river with marble cliffs all around. An excursion down the river on a full moon night with the marble rocks glittering in the moonlight is in itself a tour of a lifetime. 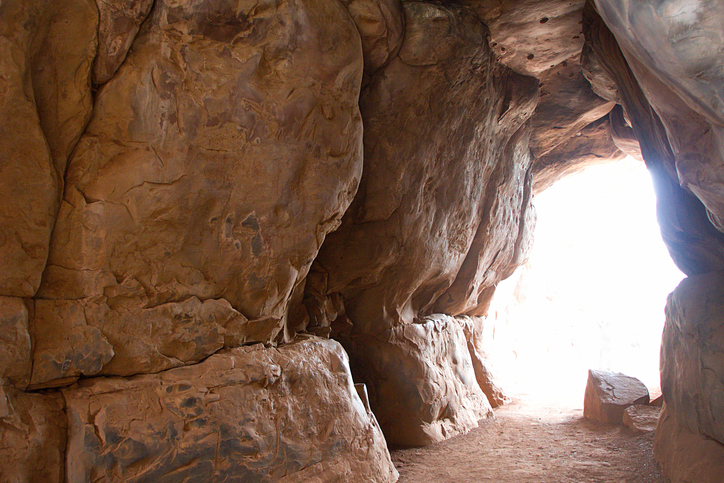 The awesome rocks and caves of Bhimbetka Rock Shelter will catch your attention like no other. Peer at the ancient paintings and drawings on the wall and be awed by the intricate carvings on the huge rocks and caves. The moment you enter the caves, you’re transported thirty thousand years back in time. Irrespective of your religious inclination, Ujjain shall remain as fascinating as it can be. The city is dotted with temples that have both spiritual and historical significance. 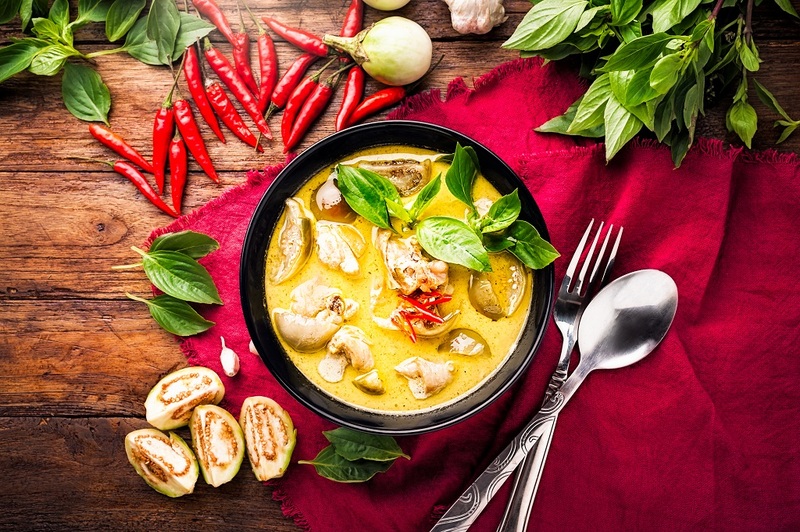 It is one of the places which reflect the deep rooted Indian culture. Let your guard down and immerse yourself peacefulness and tranquility of this place. 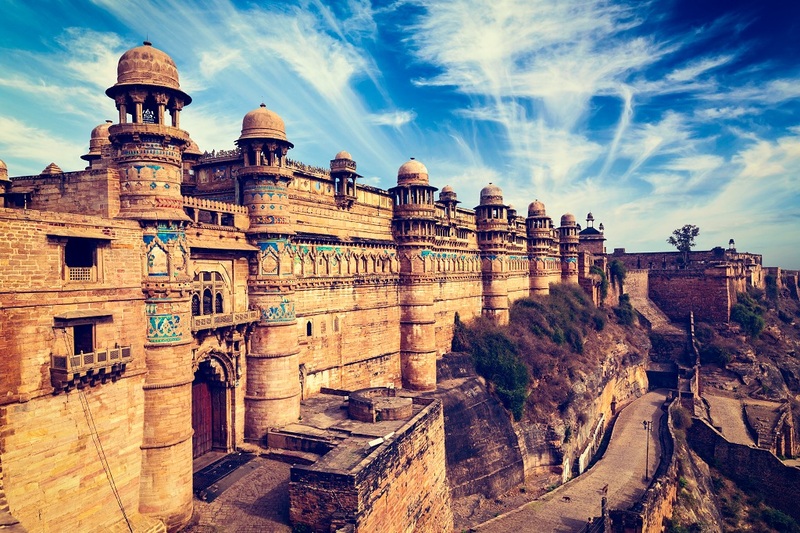 The magnificent Gwalior Fort! The walls of the fort will actually walk you down to the times of the bravest and the fiercest soldiers of Indian history. 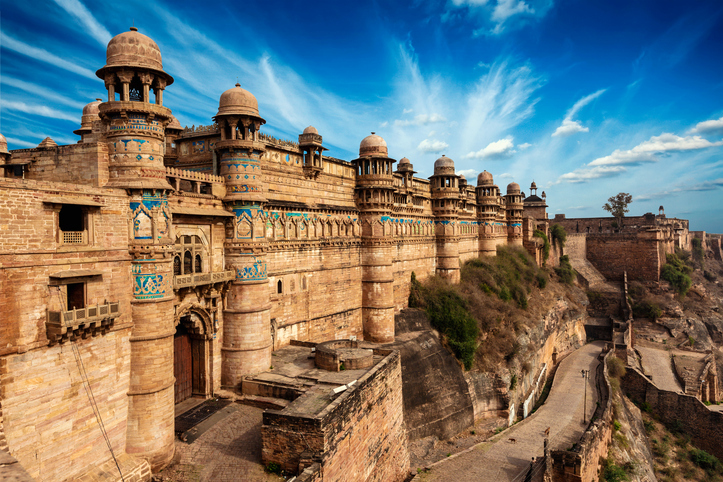 And Gwalior’s fort is not just confined to epic battles and gallant soldiers; its brilliant architecture amuses us like no other. The fort stands which majestically is one of the most beautiful and impenetrable forts ever made in Indian history. It is indeed the perfect blend of warfare, architecture and arts. 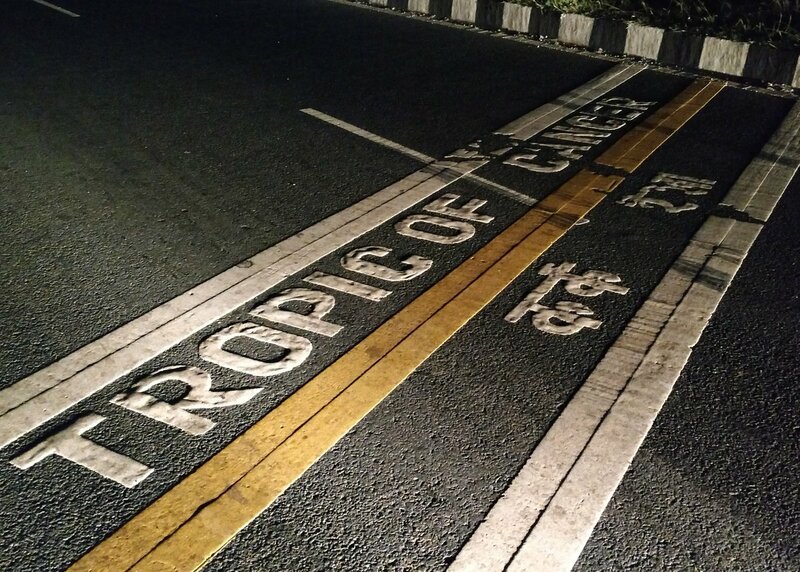 Imagine the thrill of standing on top of the Tropic of Cancer! This has to be the most thrilling reason to visit Madhya Pradesh. Enjoy the gushing feeling as you witness for yourself the magnetic lines running across the road. Don’t forget to click pictures.